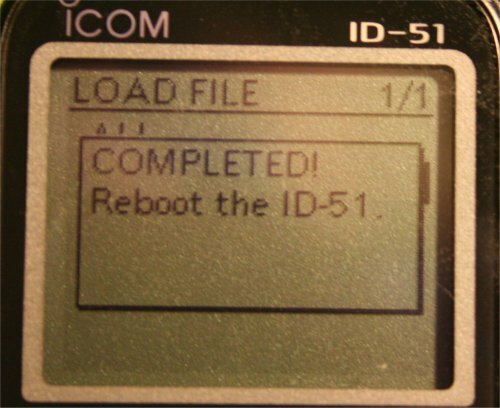 Let's get some memory channels into the New ICOM ID-51 Plus! 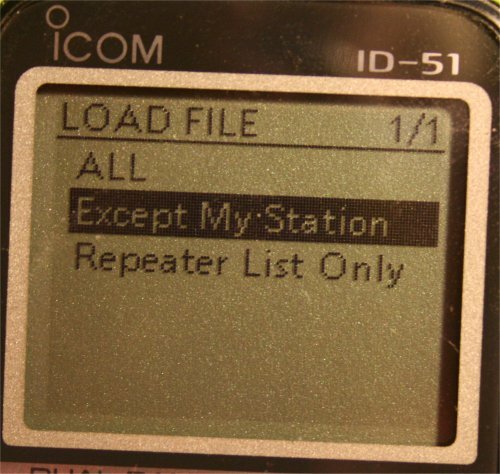 This tutorial will help you program the radio using a friends configuration "On the Fly". you can always go back to what you have saved. 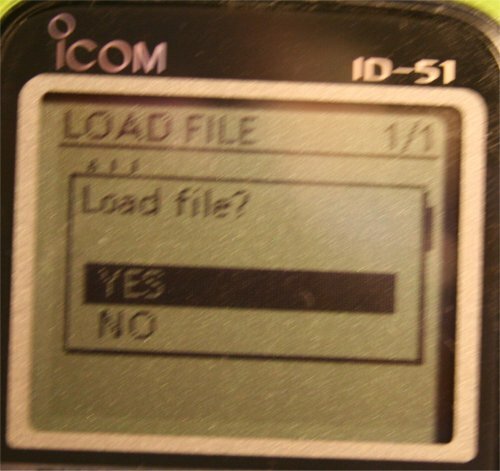 Remember to save a file (save settings) anytime you make any changes. 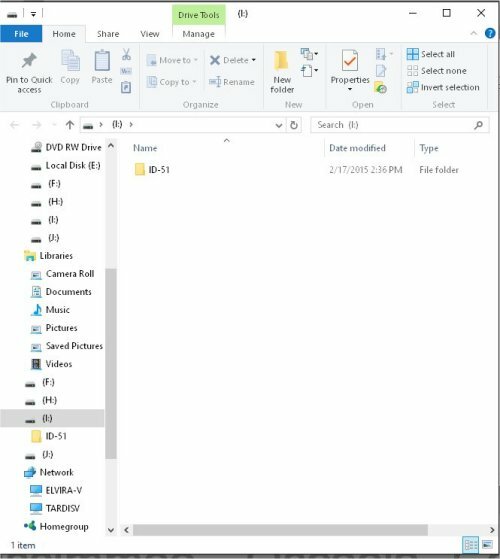 Here is the file I use for Central Florida in my ID-51A Plus. Some people refer to these as a code plug. However a code plug is a term that was used when you actually had to change the PROM in a radio. 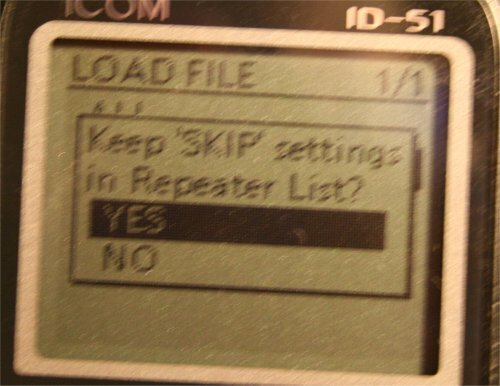 Be sure to install your MicroSD card and save the original setting from your radio. 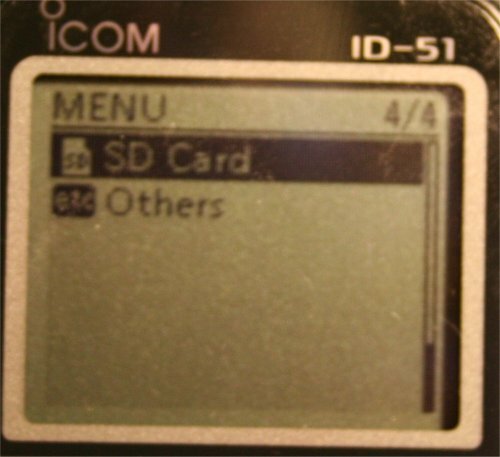 Take your formatted MicroSD card out of radio and read it with your PC. 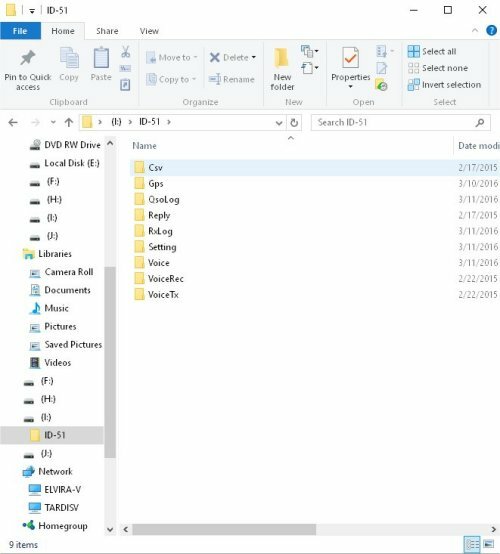 This will show you how to Copy the file in to your radio, You do not have to open in software to do so. 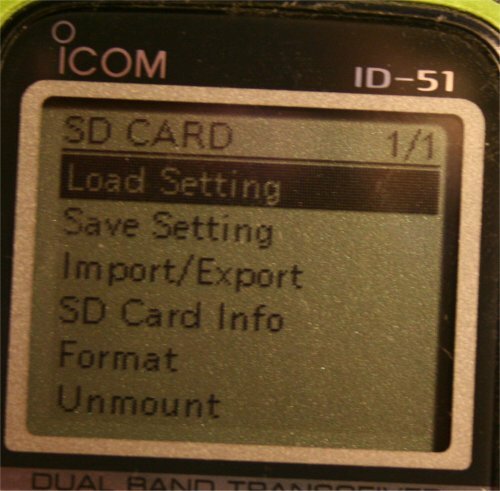 This file contains DR settings for use in "Near Repeater" in this area. 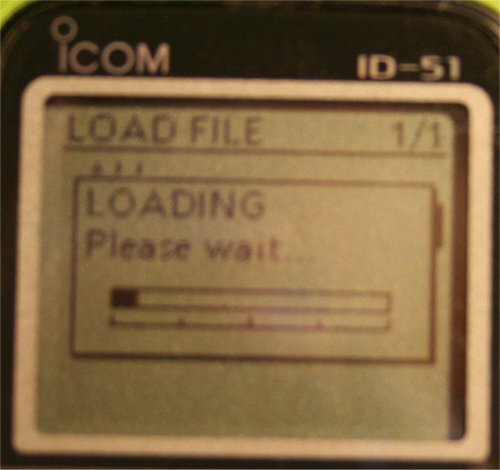 The GPS turned off and the SSID is H. You may want to change that later. 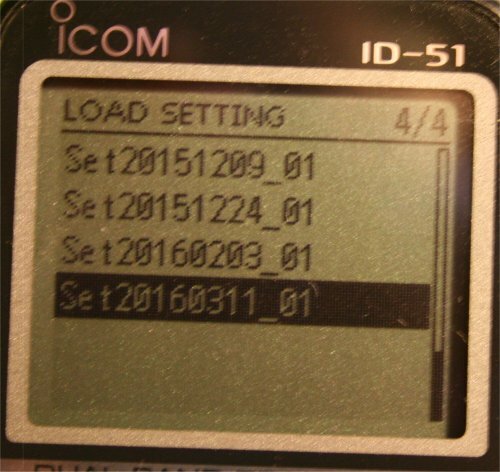 Download the CentralFlorida07042016.icf (right click and "Save Target as) then copy file into the "Setting" a sub folder of "ID51" folder on your micro SD card. 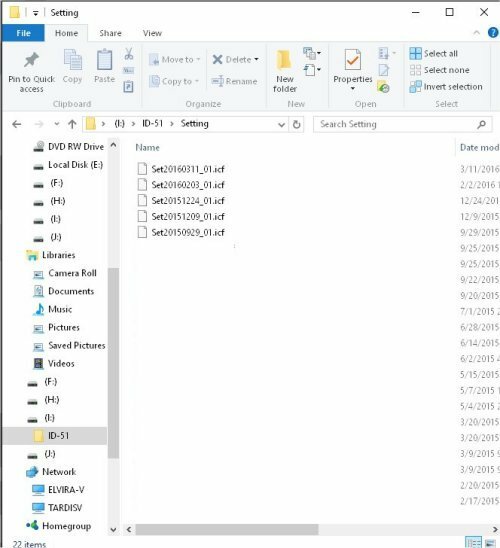 copy file (CentralFlorida03112016.icf) into the "Setting" a sub folder of "ID51" folder on your micro SD card. With the radio turned off place the MicroSD card back into the radio. This may come up if you have the "QSO Recording" selected in "Voice Memo". 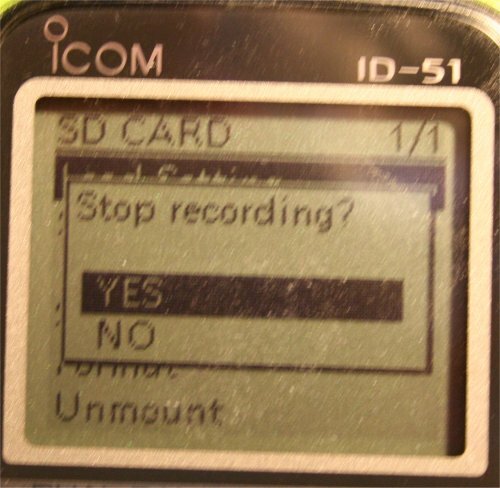 If so Select "YES"
Turning the radio off then on, does the reboot. Now save this configuration because it has your "My Call Sign" in it. Use the auto naming. Or Call it CentralFlorida.